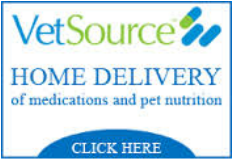 Now you can order your pet medications and diets directly through Bowdon Animal Hospital, via our partnership with Vet Source Online Pharmacy. Click the link to go to our online pharmacy and set up your own account to order from a variety of products. Get the convenience of ordering online with the guaranteed safety of using your local veterinarian. See if we have the product you are looking for today!